Introduction: Easier than it looks! The little petals are made over 2 rows, with a simple dc row that separates each row of petals. If you can make a ch, dc and understand a cluster stitch, you can make this. There are 2 types of cluster st used in this pattern, the first is for the side way petal and the second for the top petals. I have never made a cluster over 3 st’s, however that is how the bottom cluster works, the top petals are 3 dc’s made into the same space and the side way petal are made in the 1st ch of a ch 4 with only 2 clusters. You could also use this pattern as a christening hat, because just quietly the petals also look like a bit like a little cross. Yarn: 8 ply approx 50 gm’s US DK/Medium. Please note! The beginning ch 2 of every rnd is not counted as a st.
Chain 4, sl st to first ch to form a ring. Or use a magic ring. Hat edge: Made with the hdc and fphdc: Beginning ch 1 is not counted as a stitch. You can use this free crochet pattern for charity or for selling your work, please link back to this pattern if you use it. 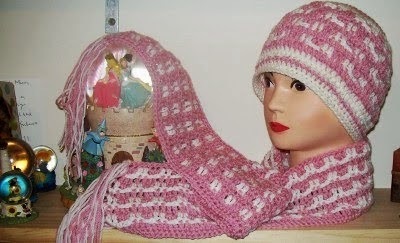 Labels: Beanie-Babe, Charity, Crochet for Baby, free crochet patterns, free hat, free pattern, free pattern. crochet hat.